Is this the future for kitchens? 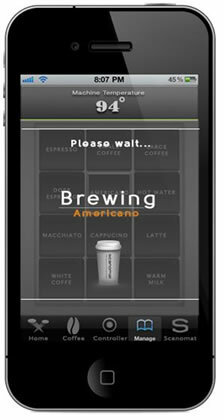 Do you want a coffee then reach for your iphone or ipad! Can you believe the latest trend – an ipad controlled Coffee Maker!! Scanomat in the UK have produced the Top Brewer. With one touch of your iphone or ipad you can have a long black, cappuccino, macchiato – the list is endless. The best part is all the mechanics of the machine are contained under the bench so no mess on the kitchen benchtops – easy, slimline – we think it is sensational. Unfortunately this is only available in the UK but good news they are branching out to USA soon and who knows Australia might not be too far off! To hear about latest design trends subscribe to our newsletter and we will keep you up to date – subscribe here.